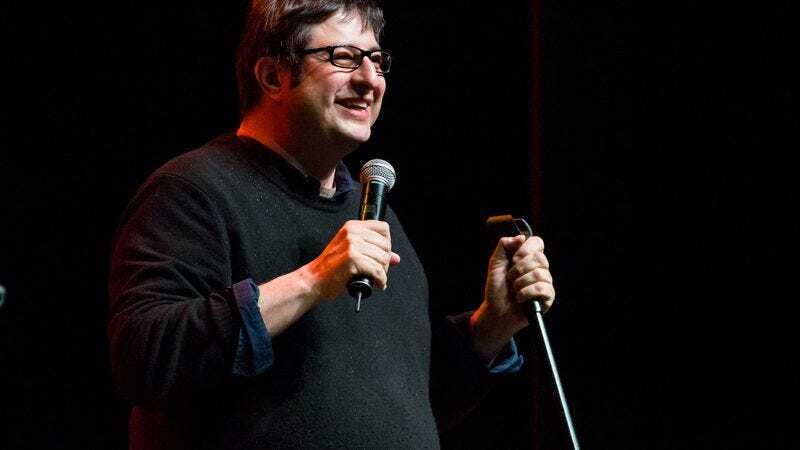 Like Time Warner Cable before it, the city of Portsmouth, New Hampshire has learned the consequences of provoking Eugene Mirman. After running afoul of an obscure parking ordinance, Mirman struck back using the ancient art of buying a full page of ad space to savage one’s enemies. If the allegations presented by comedian and Bob’s Burgers voice actor are true, the quiet coastal city of Portsmouth has—and enforces—a law stating that “No vehicle shall remain backed up to the curb,” for which Mirman was issued a $15 ticket. Overlooking the fact that Mirman was simply parking in a way that correlates to strong economic productivity, he argues that the requirement from section 7.316 of the city’s ordinance is obscure, and difficult to even obtain an official copy of. Mirman than calls into question the granite bedrock of New Hampshire’s honor, its steadfast commitment to living independently. Invoking General John Stark’s quote “Live Free or Die”—a sentiment so beloved that the state motto is stamped onto NH license plates—Mirman asserts that Stark would be appalled to learn that one’s personal freedoms do not extend to the orientation of parked vehicles. Given that the ad most likely cost significantly more than the cost of the ticket, it’s already gone viral on Reddit, and as Mirman’s previously mentioned skirmish with his cable provider wound up as part of his stand-up act, the Portsmouth Parking Clerk’s office should expect to Live Free in Humiliation for the foreseeable future.